Karen Ching, MD, PharmD, is associate medical director of Quality and Safety for the Hawaii Permanente Medical Group. 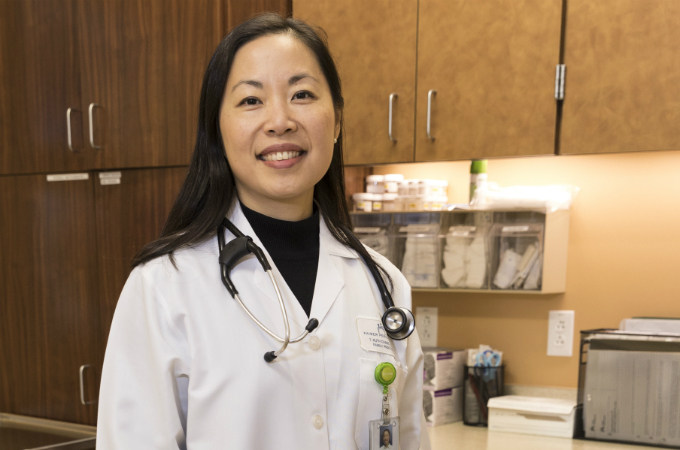 Since her earliest days of pursuing medical school, Karen Ching, MD, PharmD, has been committed to improving the lives of patients living with ongoing health conditions. Her commitment stems from her experience with her grandmother – who died from complications caused by a chronic disease. Today Dr. Ching holds her grandmother’s values close to heart in her role as associate medical director of Quality and Safety for the Hawaii Permanente Medical Group (HPMG) and as a nephrologist at Kaiser Permanente’s Moanalua Medical Center in Honolulu. She also serves as a national Permanente quality leader, collaborating with her Permanente colleagues and overseeing a variety of regional and national initiatives that aim to improve the quality of life for patients across all specialties, departments, and facilities who face complex conditions. Dr. Ching oversees clinical quality for patients living with kidney failure – a serious risk for 1 in 7 Americans who have chronic kidney disease. Often in its early stages there are no symptoms, which could result in kidney damage going undetected for many years. To address this issue, Dr. Ching works with nephrology chiefs in each region to improve clinical quality through Kaiser Permanente’s Optimal Starts Program for end-stage renal disease. The program manages kidney disease earlier, more proactively, and with optimal therapy that is informed by patients’ choices. In the program, end-stage renal disease patients prepare for dialysis therapy early, before their kidneys fail completely. The program was launched in 2011 by Permanente physician, Peter Crooks, MD, and has since led Kaiser Permanente to outperform the nation in its optimal starts rates – estimated at twice the U.S. average. Early identification and patient education have been critical to the program’s success. The interregional teams are innovating in risk modeling, which identifies patients who are likely to need dialysis within 1 to 2 years. Those identified to be at risk can be proactively identified for nephrology referral, allowing time for nephrologists to maximize medical therapy and to have thoughtful patient and family discussions about future renal replacement options. “A part of this process is having a conversation with the patient to find out what’s important to them,” says Dr. Ching. Education, patient engagement, and setting the right expectations are paramount – accomplished only through the efforts of a coordinated multi-disciplinary team led by the nephrologist. The care team continues to monitor and support these patients through their dialysis treatment and possible kidney transplant. An important approach to safety and diagnostic reliability is to create systems to ensure an additional layer of safety. 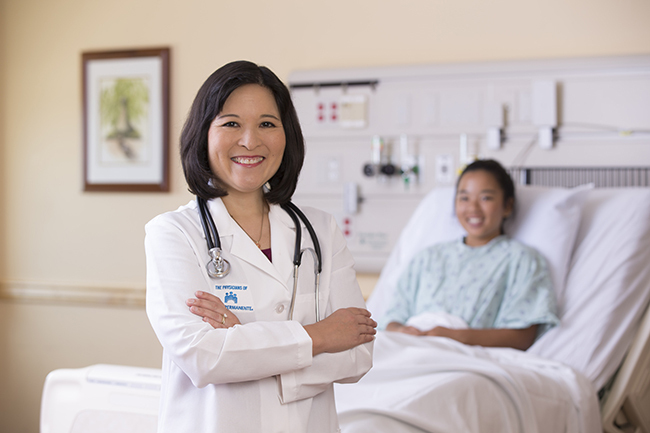 Dr. Ching has helped lead the spread of Kaiser Permanente’s SureNet program – a technology-enabled safety net that addresses care gaps and ensures the appropriate follow-ups are made for patients who currently have, or are at risk of having, certain conditions. 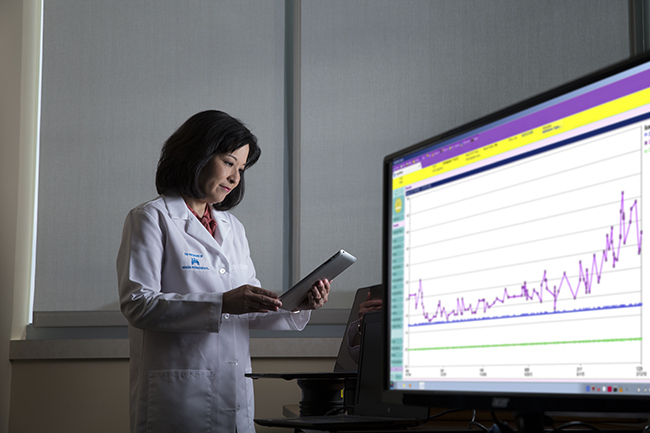 Dr. Ching uses data to drive early detection and quality outcomes for her patients. If the system detects that a patient has an imaging study suspicious for cancer, a notification will automatically be sent to a nurse who will ensure the patient has the appropriate diagnostic follow-up. This leads to better, more reliable care that can help to reduce or eliminate delayed cancer diagnoses, and in some cases expedite the workup. Similar SureNets have been developed for breast, lung, and abdominal aortic aneurysm screenings. “Having technology and systems backed by a team that’s well equipped to use it is a cornerstone to safe and effective health care,” says Dr. Ching. She notes that SureNet opens the door to even more opportunities for early intervention in Kaiser Permanente’s integrated care delivery system by connecting labs, physicians, diagnostic imaging, and pharmacy so that patients can benefit at every point of care. In Kaiser Permanente’s Hawaii Region, SureNet screens for lithium levels in patients identified at risk for kidney disease. If lithium levels are left unchecked it can accelerate the onset of kidney disease and other adverse effects. Since deploying SureNet, Hawaii has performed at a 92 percent screening rate for lithium levels in patients being tested for kidney function, compared to 75 percent in the years before deployment. SureNet has also been used for a variety of other conditions including atrial fibrillation or atrial flutter, which are conditions that can lead to a devastating stroke. SureNet also highlights the exceptional interregional partnerships with pharmacy and cardiology. Nationally, Kaiser Permanente’s SureNet programs have helped to flag more than 5 million safety concerns and made more than 2 million interventions, reducing potential harm to patients by 44 percent. Drug overdose deaths continue to rise in the United States – with more than 40 people dying each day from prescription opioid overdoses. The opioid epidemic has fundamentally caused a paradigm shift in the way physicians view the efficacy, safety, and addiction potential of chronic opioid use. In her role as a quality leader, Dr. Ching co-leads Kaiser Permanente Hawaii’s efforts to make opioid prescriptions safer while encouraging alternatives to pain management. With the help of many dedicated team members, a patient-centered focus, and strong leadership support, the effort has realized a 50 percent reduction of Hawaii region patients on dangerously high daily dosages of opioids – doses associated with a 10-fold risk of overdose. By leveraging our integrated care delivery system, we have the unique opportunity to intervene even earlier in kidney disease progression. Additionally, to reduce the potential for prescription drug abuse or misuse, Kaiser Permanente uses online media and informational materials to educate patients about the dangers of opioids. When appropriate, physicians encourage patients to taper to a lower dose of opioids and offer alternative pain management solutions such as yoga, tai chi, acupuncture, and cognitive behavioral therapy. Throughout their pain management treatment, patients are in touch with a team of specialists in Physical Therapy, Psychiatry, Neurology, Addiction Medicine, and Pharmacy who provide a variety of solutions to help treat their pain. Dr. Ching says that the Hawaii region’s number of patients on high levels of opioids are among the lowest in the nation and that their approach is another example how Kaiser Permanente proactively addresses potential health risks for patients at every point of care including at the pharmacy. Dr. Ching attributes the success of these efforts to strong physician leadership as well as partnerships and close collaboration with interregional practice groups, Kaiser Permanente’s Care Management Institute, and her colleagues at Hawaii Permanente Medical Group.